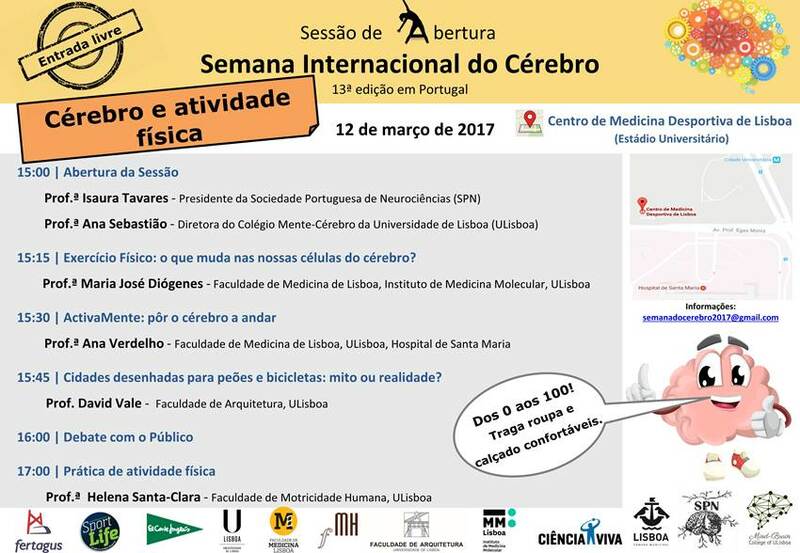 The opening session of the Brain Awareness Week will take place at the Centre for Sports Medicine of Lisbon (Estádio Universitário) on 12 March, with free admission. The event is dedicated to the whole society and has as its theme “Brain and physical activity”. You are all invited! Show up and bring the family! This is an event promoted by the “Dana Alliance for Brain Initiatives” which aims to disseminate to the public the progress and benefits of scientific research in the area of the brain, stimulating and sensitising civil society regarding the study of the brain in its various aspects. Scientific institutions, universities, hospitals, schools, and professional associations from around the world will participate. In Portugal, it is organized by the Portuguese Society of Neurosciences in collaboration with Ciência Viva.